If you are in a foreign city, moreover if you don’t speak the language, it is very important that you are organized and have the right transportation. Most travelers opt for rental cars and taxis, but those options are far more expensive and less practical than using a professional ground transportation company. NJ Star Limo provides its premier services not just in the US, but all around the world, and we have created this special offer for those of you who enjoy traveling abroad and enriching your life with new experiences. 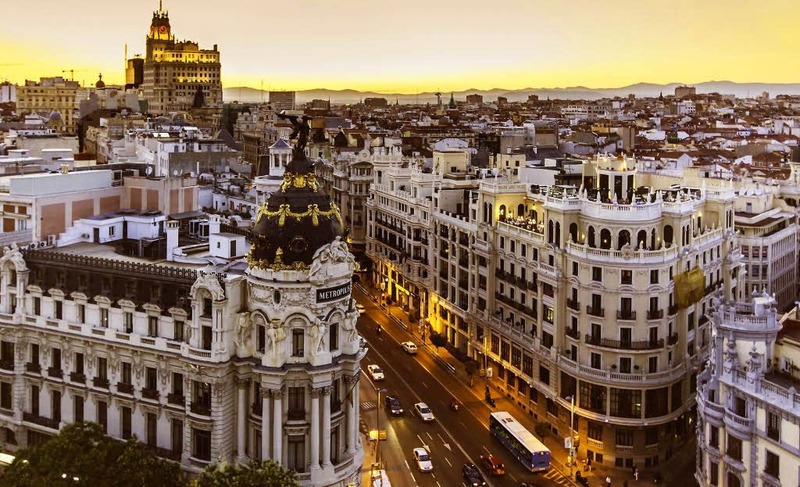 We offer a multitude of packages, so you can combine this offer with some of our other services, like the City Tour option, which is excellent for people who are traveling to Madrid for the first time and want to explore the city and its beautiful landmarks. Paying a visit to the Royal Palace, the famous parks in the centre of Madrid, or the historically rich museums, are just some of the things that are recommended for adventurous tourists. For sports fans, there are many events and opportunities to enjoy football and basketball games in atmosphere that can hardly be matched anywhere else. Not only are our packages affordable, they are also transparent and clear, as we wanted to eliminate the possibility of any hidden costs or fee which would displease you; We have made a clean and easy to understand reservation process. Contact us today and book your unique and personalized Madrid limo service, We are looking forward with great joy to provide you with the most luxurious and affordable limo service. At NJ Star Limo we highly value our customer’s satisfaction and enjoyment. That is why we are always improving the level of our service, to please all of your needs, no matter if you are in need of corporate, personal or other transportation services. Experienced local drivers and world class vehicles are the highlight of our offer, and the focal point with which we are very proud with; our chauffeurs are very knowledgeable and educated, and most importantly, very courteous and friendly, and always aim to please you. When it comes to our first rate fleet, it is best accentuated by our luxurious Mercedes sedan and limo models, which possess not only the latest features, but are equipped with extra attributes, all to make your ride the most comfortable it can be.